Gianluca Piacenza is a one of a kind musician and creative – someone whose name always appeals thanks to the beautifully unique and memorable experience that was The Road To Home. 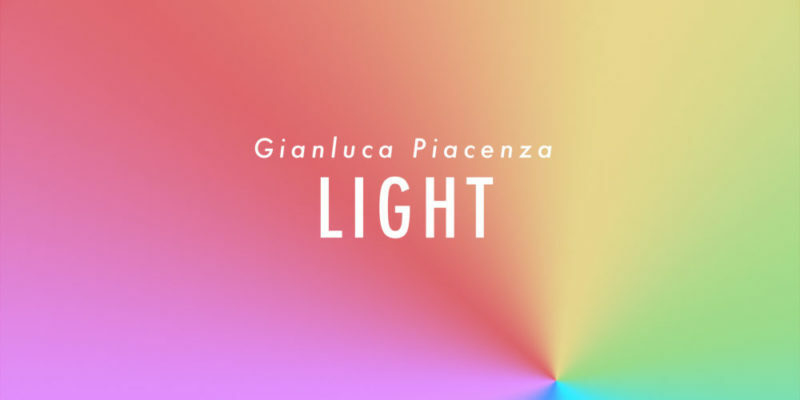 This year, Piacenza returns with another full-length project – the concisely conceptual Light. 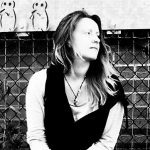 The album is made up of just seven distinct compositions, but as an audio journey – it feels like a wave of conscious artistry that consistently holds close to this underlying theme; and to everything the artist had in mind and in heart at the time of composing. Light is a solo piano project for the most part – there are dashes of additional colour and instrumental emotion in the outer layers, but your attention is drawn to the melodies offered by the keys; this is where the feelings and the pathways are presented. Light I introduces the album with a simple yet striking progression – a mere minute and eight seconds long, but enough to intrigue and appeal for its sense of depth and wondering. Light II follows on and takes that now familiar scattering of notes, spaced out and thoughtful, and intensifies their presence to move the journey along. This evolution continues further as III and IV step into view. What Gianluca Piacenza does so well is fulfill wonderfully the role of the artist. He utilizes simplicity to express complex emotions and experiences. The opposite would be to over-complicate the sound, overpower the room with multiple layers of contrasting detail, as a means of expressing a disappointingly simple concept – something much more common, though still with its role; perhaps more effectively suited to the entertainment or party scene. Piacenza’s music is so very raw and real – stunning in presentation, and musically skillful to say the least – but he relies upon only the connection between the thought, the feeling, and the hands that create the music. You can hear this happening as you listen, and you can follow him along on this pathway as this project plays out. Right the way through to Light IV, there is some sort of complex, intriguing process at work. The way it’s received will most probably be unique to each listener, but that’s another part of what makes it such a gift. During Intermezzo, I found myself reminded that not all changes to a more melancholy or minor sound are representative of sadness. There’s a certain beauty in the meandering nature of a journey or a performance – the title of this piece defining its own position as a transition between moments. There’s hope and uncertainty in equal parts, but never is it overwhelmingly ‘sad’. Following this, Choral does seem to lean more notably in the direction of melancholic reflection. There’s a tiredness to the piece – its descending melody, its space and its shortness all reinforce that well. As the final piece of the puzzle, Duplicity comes in at close to nine-minutes – something you barely notice as the playlist in full fills the room. The titles that separate these compositions are something of a secondary detail when compared to pressing play and simply letting the music pour through. There’s a stunning sense of purity and mesmerising artistry on offer here. Piacenza does what very few musicians and artists will or even can. The places this project can take you, or the way it can shape your day, seems fairly incomparable at present. For the classical music fan, this is an easy must. For those who aren’t sure if that applies yet though – you have to trust in the music, in the musician, and that’s not a hard thing to do. Let Light play in full, and the true power of music – even in its most natural, solo form – is reignited in a magical way. An absolute pleasure to write about, a project that has been playing on repeat throughout the past week; and will continue to be a reliable go-to for the foreseeable future. Download the album via iTunes or stream it on Spotify. Find & follow Gianluca Piacenza on Twitter, Instagram, Spotify & LinkedIn.